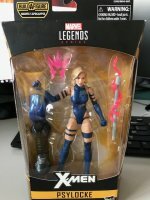 So I was at walmart today I was very very luck found 1 Lasher but then I found 1 Psylocke too but when picked her up this is what I saw. I looked around I know the head is from Black Widow Infinity no clue where the weapon comes from. If I where to sell this what would be a good price ? Is she actually wort anything ? Should I keep her ? TO BE CLEAR is sealed taped as it should be same as all others in my collection I would not have picked it up she had been open or looked tampered with. dude that is not a error. that is a part swap that some prick decided to steal. Do not sell it. is sealed taped same as all others I have in my collection does not looked tampered with. Also do you know where the weapon comes from. People (jerks) open these and reseal them all the time. It’s definitely not a factory error. Thanks to me it looks legit but no point if everyone thinks the same way. All I can say I found it like that. Anyone can't tell me where the weapon comes from. 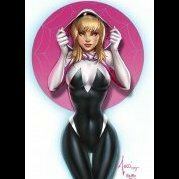 Interests:Marvel Legends, Comics, 80's Toys, and watching Future Cyborg on Youtube! Maybe a Star Wars vehicle missile? 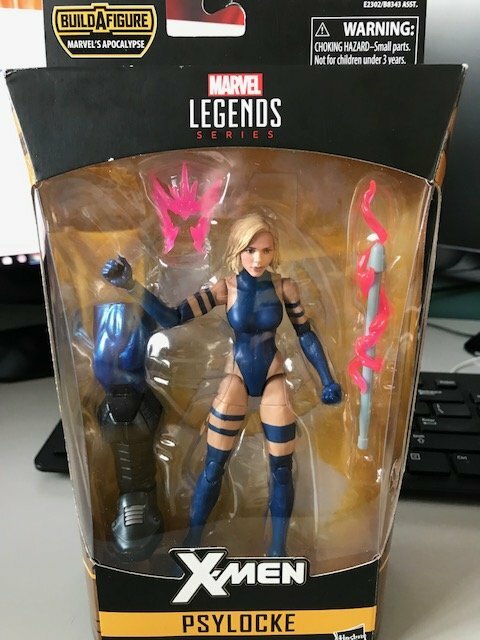 Rather than breaking down and buying both black and purple hair versions of Psylocke some douche just took the head swap and returned the figure. Don't let the tape fool you. These swappers have gotten really good at not damaging packages. One mistake in a package was fairly common at one time but not so much so these days. Two mistakes is unheard of. 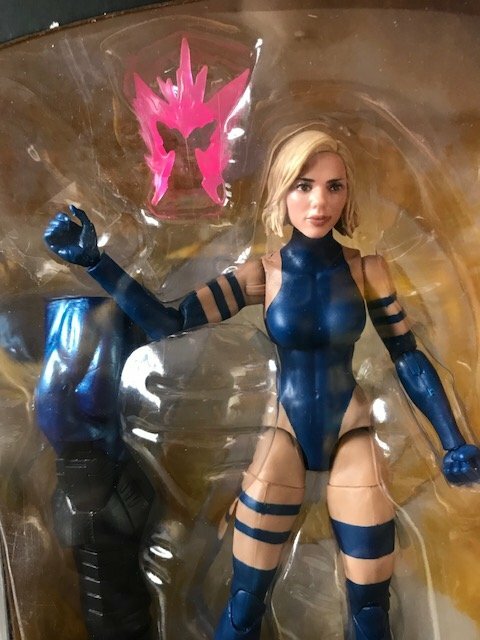 The sad thing is that ScarJoh sculpt actually looks pretty good in the figure. 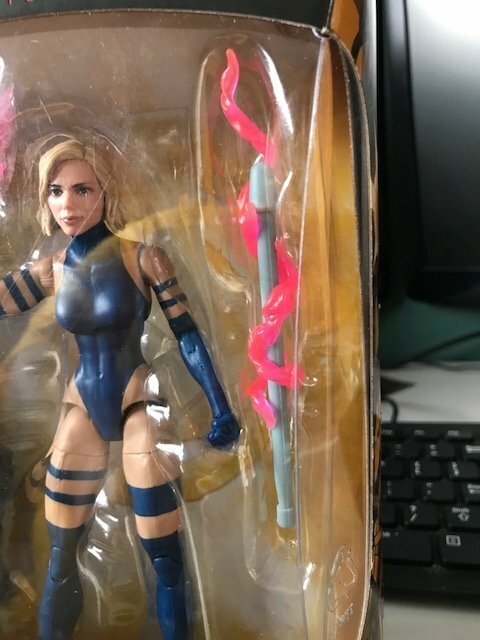 Maybe paint the hair and it would probably look better than the real head sculpt. Especially with the current state of Betsy in the comics now. Yeah, definitely swap job. The 'weapon' is just a missile from one of those spring loaded toys.